Criterion Research was founded around the concept that there is substantial value in unstructured data, which is not being captured in the market. From trading our own capital and investments, an opportunity presented itself to create products, which help traders and investment professionals better capture this unstructured data. We understand the value of this unique information and the edge it can provide to investment professionals. Criterion uses modern technology to analyze these markets by not only creating proprietary data feeds but by performing research on what the data means. We provide research, news and the underlying fundamental data in an easy to use format. John Best is the founding member of Criterion Research, a Houston based research and data aggregation firm. John leads the research and development of Criterion Research to capitalize on the vast amount of unstructured data in the market. 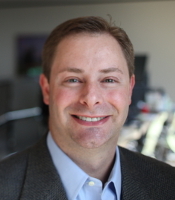 Prior to Criterion, John Best was the Vice President of Research and Product Development for IIR Energy, which provided infrastructure information on energy assets, as well as real-time tracking of planned and unplanned power generation outages, refinery turnarounds, and midstream natural gas disruptions that affect the trading community. In 2012, John sold his previous data aggregation company, TCT Data, to IIR Energy in order to capitalize on their combined data sets. After cutting his teeth at Enron, John became a senior analyst for Compass Petroleum LLC, where he provided market analysis for futures trading in the crude oil, natural gas and power markets. After more than a decade of analysis and hands-on trading in the energy sector, John realized the need for a single tool that could aggregate the large amounts of data fundamental to the energy-trading community. This prompted John to develop proprietary software that could quickly and efficiently pull in massive amounts of data and use automated quantitative analysis models to provide options valuation and flexible data comparisons for trading in the power, crude oil and natural gas markets. John holds a Bachelor of Science in Business Administration specializing in accounting and finance from Creighton University and remains a Certified Public Accountant in Texas.